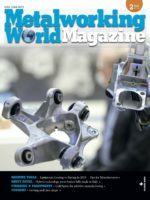 Novel 3D printing technique produces extremely smooth surfaced micro-parts without need for post-processing; saving time and costs in industrial prototyping. 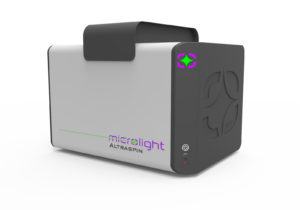 Microlight3D, a specialty manufacturer of ultra hi-resolution 3D microprinting machines for industrial and scientific applications, announces the launch of Altraspin™, a compact turnkey 3D printer for producing highly complex micro-parts with sub-micron resolution. Microlight3D focused on ease-of-use in its design of Altraspin. Once the user has designed a 3D model using standard CAD tools and chosen an appropriate polymer material, Microlight3D’s algorithms calculate the path that the laser will take to create the object. A laser pulse writes directly inside the liquid-material bath, solidifying the path it takes with the extreme precision, less than a micron. As the laser is able to move freely and continuously, it can build the most complex architectures, without the limitations of the traditional ‘layer-by-layer’ approach. Once the operation is complete, a solvent washes away the excess monomer, allowing users to immediately handle the object, identical to the initial model. Microlight3D will exhibit Altraspin at BIOS, San Francisco, California (USA), booth #8136, February 2 – 3, 2019.